Love an industrial, farmhouse, rustic or even modern look? Then give corrugated metal decor a try! It’s a great material to use to add texture and presence to a room, without spending a lot of money. It’s easy to work with, and forgiving of mistakes, and, well, it’s just amazingly cool! 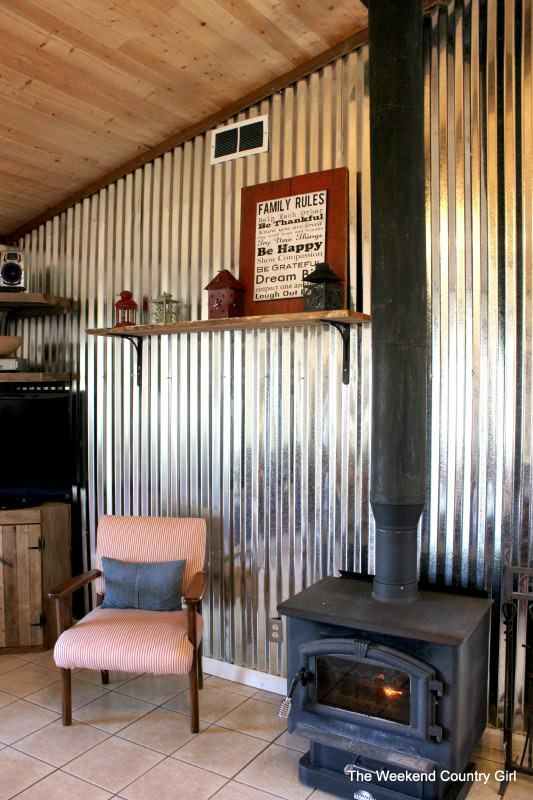 So check out all these ways to use corrugated metal in home decor. This DIY corrugated metal wall tutorial is from Karen at ‘The Weekend Country Girl’ via ‘Remodelaholic‘. This wall was used in a rustic vacation cabin, but I can picture it as a feature wall in a modern home, surrounded by white walls and reclaimed wood! 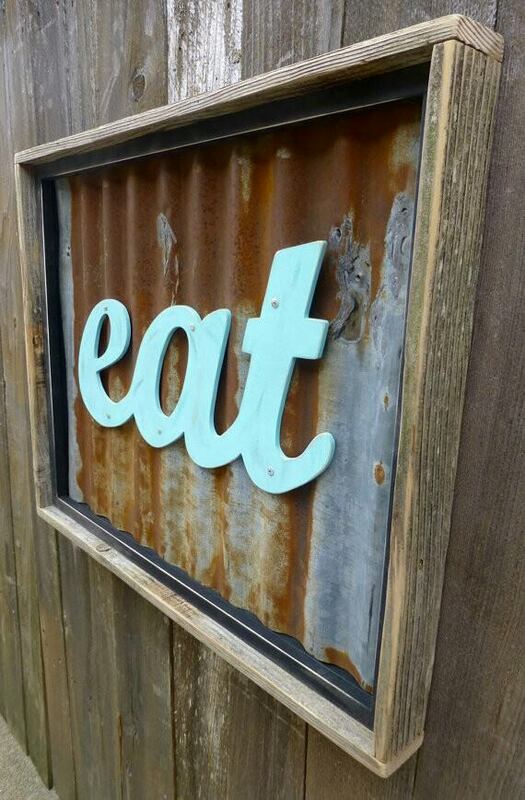 Remember, corrugated metal decor is not just for rustic spaces. Proving our point is this next project idea. You could use all the info from that last tutorial to get the look of this contemporary corrugated metal wall from ‘Cushman Design‘. Great entryway look! From ‘Beyond the Picket Fence’, this rustic hall tree was made with a piece of corrugated metal panel sandwiched between reclaimed wood. This is a cool statement piece for any entry or mud room! 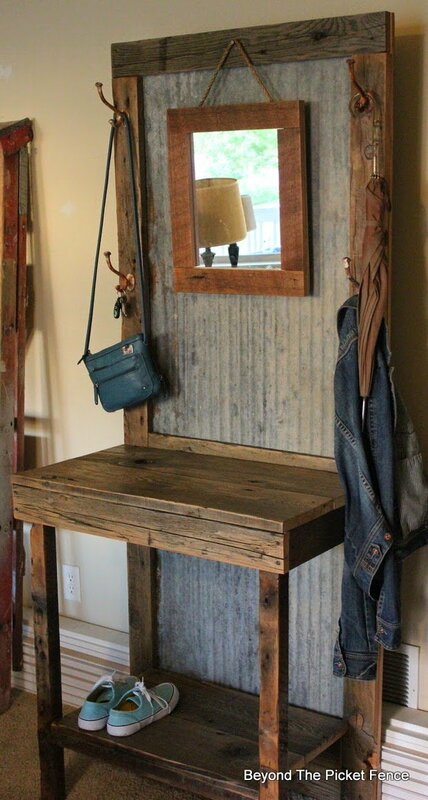 And, also an easy DIY for corrugated metal decor. 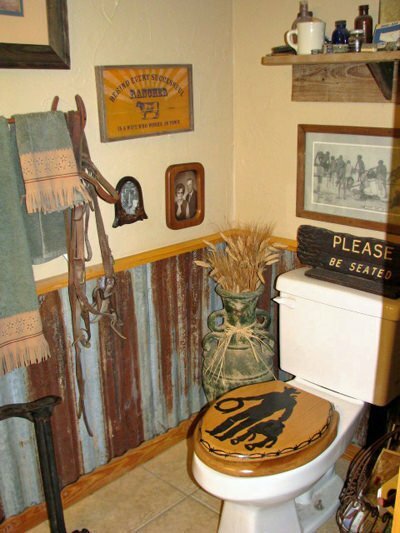 All you need is some up-cycled supplies and a nail gun or drill and wood screws. Here’s a new and creative way to use metal home decor. 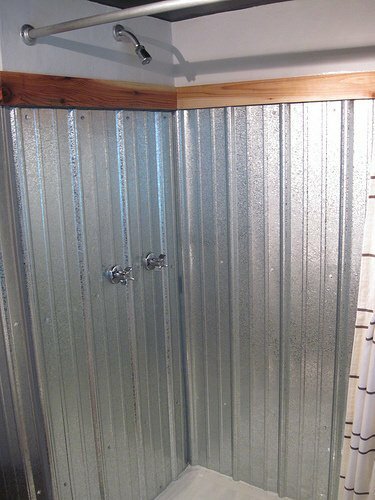 This corrugated metal shower surround tutorial is from ‘Bungalow Bungahigh‘. This corrugated metal wall is simply screwed to the studs in this charming cottage room by ‘Knick of Time’. Love this pretty look with the vintage accents. Because the edges of corrugated tin can be sharp, don’t forget the to trim this with inexpensive wood molding. From architect ‘Thomas Lawton‘, this sliding barn door was made with corrugated metal panels for a rustic but contemporary look. Are you starting to think of more ideas? 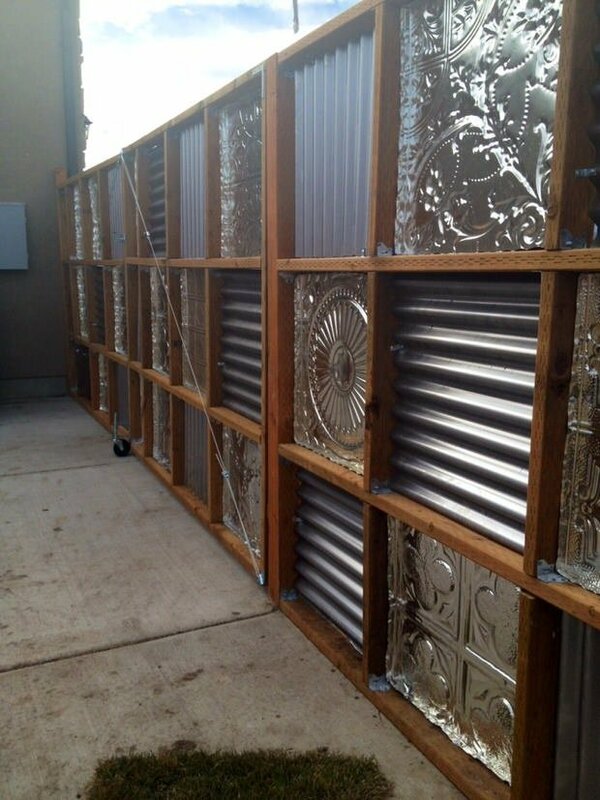 From ‘Cactus Creek Daily‘, this corrugated metal wall used reclaimed tin recovered from a tornado! Gotta love the stories behind materials with history. And it’s kinda uplifting too, that this piece of wall material survived a tornado. And is good to use again! 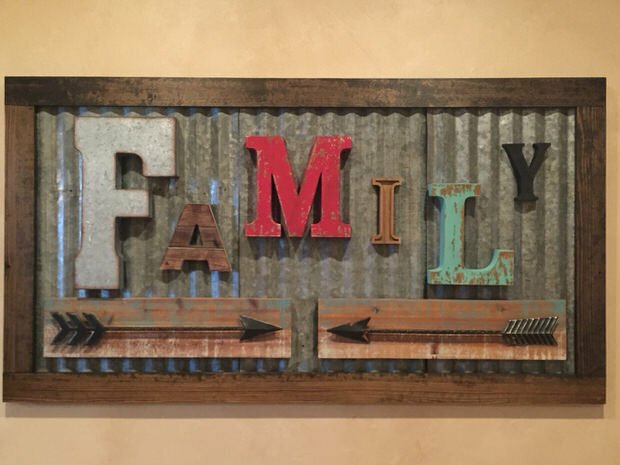 Uploaded by a Pinterest user, this shows us you can use small sections of recycled metal to create corrugated metal decor too. Another corrugated metal sign uploaded to Pinterest. This is another example of a project where they screwed or glued letters onto this surface, and then created a simple, rustic frame. 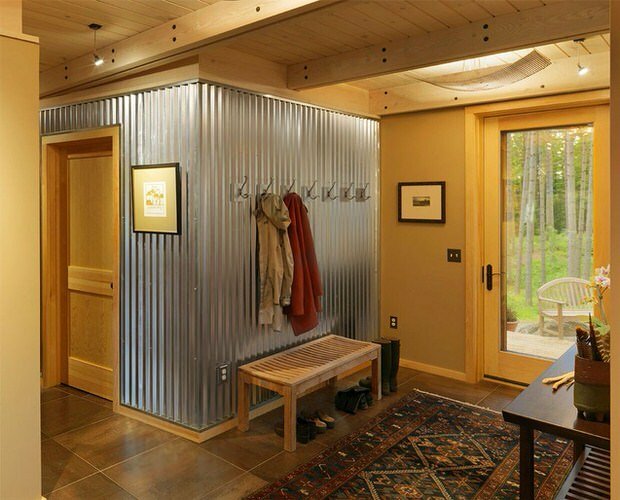 Decorating with corrugated metal doesn’t mean you have to do major remodeling! Want to us metal panels outdoors? Seems like a natural, right? 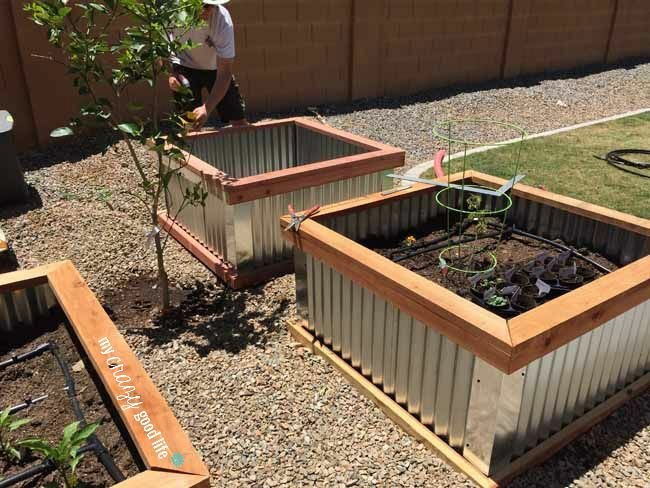 Well these DIY corrugated metal raised beds from ‘My Crazy Good Life‘ show that it’s true. Easy to follow tutorial, and lot’s of info in the comments as well! 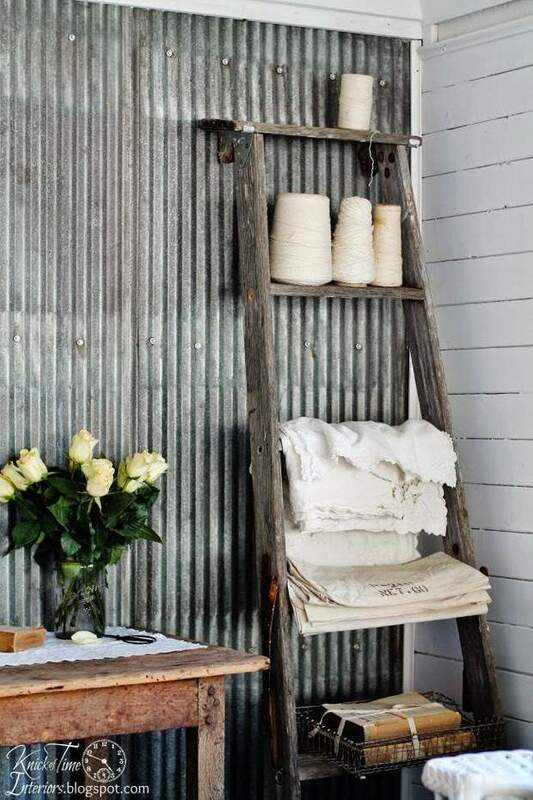 Finally, learn how to make these corrugated metal fences from ‘Noelle O Designs‘. These really are a funky piece of art, and you have to go through and check out the different kinds she has done. Love! 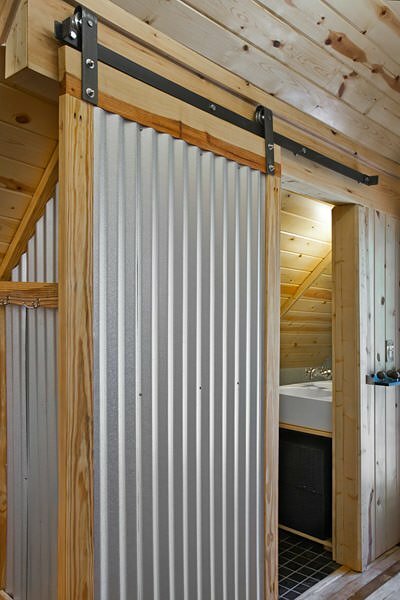 So now that you have been inspired by our post on Corrugated Metal Decor : Ideas & Projects, we think you will want to also check out our posts on Hide the Ugly : Indoor Eyesores and DIY Murphy Beds! Oh my goodness, I absolutely love the corrugated metal fence – it is awesome art! 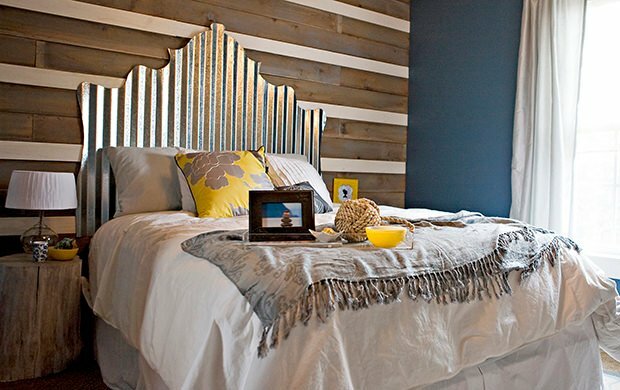 There are so many different ways that you can incorporate corrugated metal into your decor. Thanks for sharing!